but it's been fun! We have one day of VBS left...which includes a hayride and water balloons...the kids will have alot of fun! First, week are doing a week long project...planting a seed daily that corresponds with planting seeds of the spirit which also go along with the parable of the sower. The kids made great comments and seemed to really like the crafts, so that was nice! 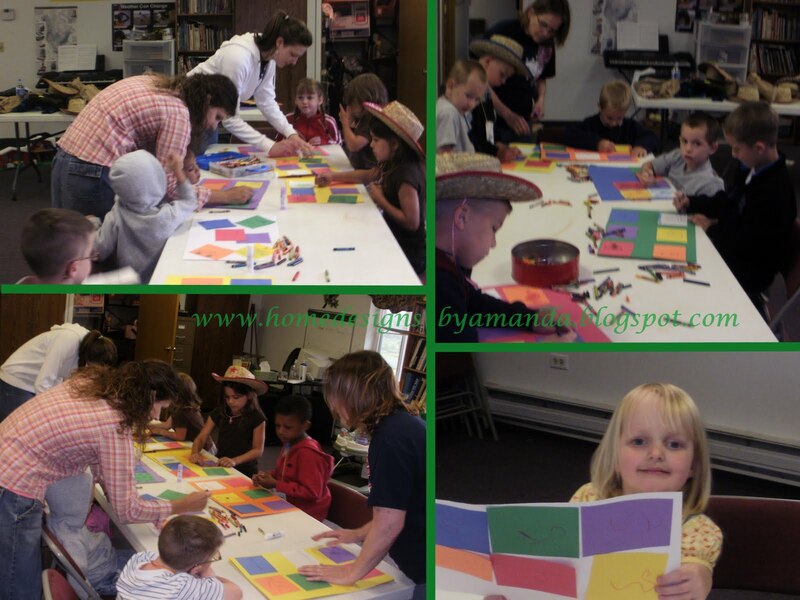 Here are some action shots of yesterdays quilt making with the younger group of kids. It was nice that even the boys enjoyed this craft...and I was tickled when the one young boy (he's 6 and quite artistic) copied my design and made a leaf and vine quilt﻿. It's great to be an inspiration! I don't need more inspiration but I check them out anyway! It's nearing the 4th of July and so, as we reflect on the founding of our country...which was founded on Christian principles...we need to pray and follow after God to return to what our founding father's foresaw for our country. You did some wonderful projects with the kids! It looks like they're having fun! 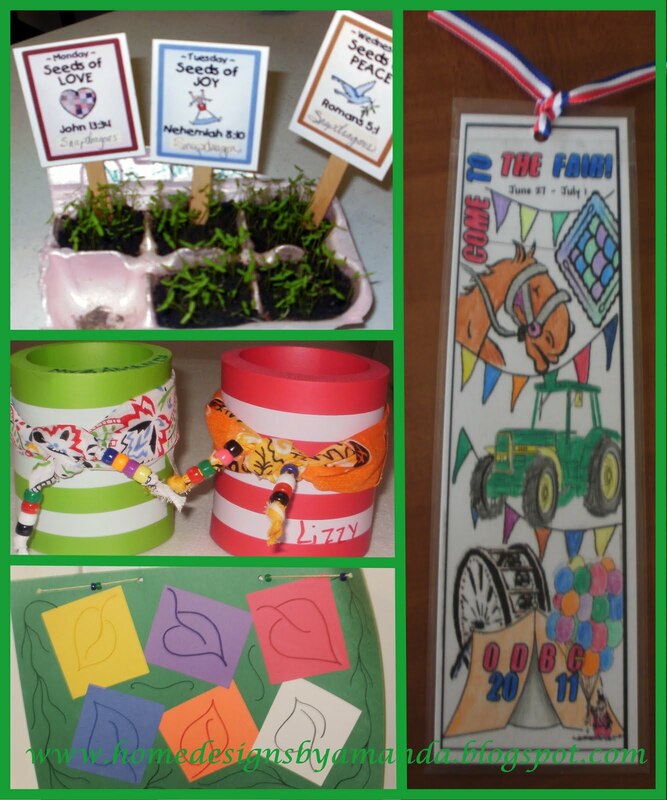 I just love VBS crafts! Thank you for linking this up! It brought back such great memories of when my kids were little and we were all involved in VBS!